We have seen part of the S/S 2014 London Fashion Week contemporary fashion collection is inspired by the new concept of pureness, natural elegance, and natural materials. 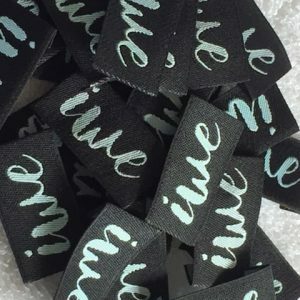 Here at Perfect Labels Lanyards, we specialized in fashion branding clothing labels including custom woven labels, personalized clothing labels, as well as 100% cotton labels for baby, children’s wear. We can create a professional, personalized woven designer name labels for your clothing products. The natural materials we offer are 100% cotton fabric. If it is a contemporary fashion design, we can create a digitally high-density weaving quality in a diversity range of woven damask, taffeta and satin labels quality. We have had a great working collaboration with creative individual designers on many different woven labels projects, as well as for the detail handmade attention given to each of their creative designer product. 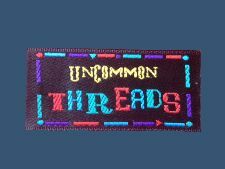 Contact Perfect Labels Lanyards today to start manufacturing a premium quality designer woven clothing label to add a professional touch to your handmade products, designer garment, crafts and other hobby items. Giving your designer clothes a prestigious fashion brand finishing touch that reflects the quality, and the style of your brand.